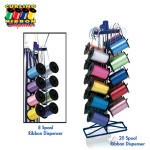 The Ultimate In Flexibility and Convenience! 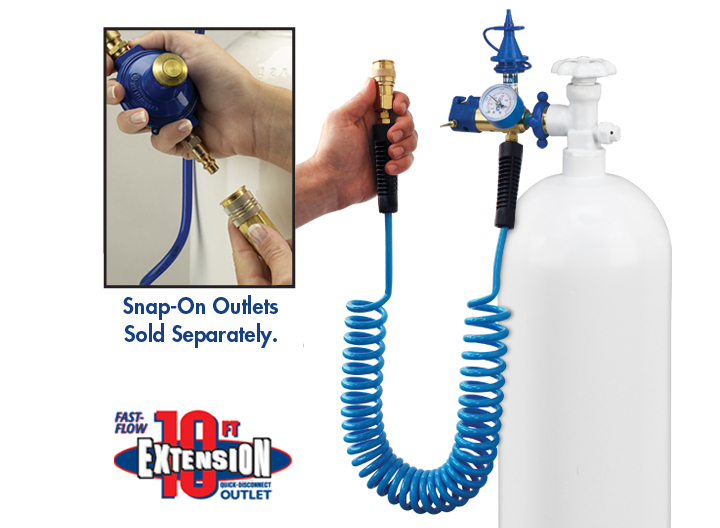 The Extension Hose Inflator features two outlets for fast simultaneous inflation. 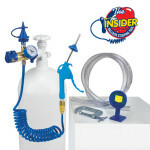 The versatile quick-disconnect fitting allows user to easily change the second inflating outlet (located on the end of the hose) to meet the specific needs of the job. The 10-Foot Extension Hose Inflator features a larger diameter hose with a quick-disconnect hook-up, providing greater flow and faster inflation. Specialty Snap-On outlets are sold separately. Select the appropriate outlet for the job and snap it on. To remove the outlet, slide the brass sleeve on the quick disconnect fitting and the outlet is released. Freedom to move up to 10ft from the cylinder makes the 10ft Extension Hose a great inflator for both in the store and on the job. 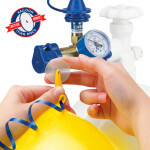 Place the balloon over the Soft-Touch Push Valve and press down until balloon has reached desired size. 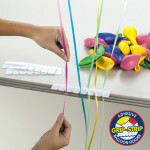 Use Conwin’s Balloon Tying Discs to quickly and easily tie and attach ribbon. 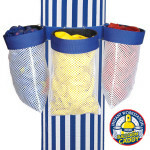 Gives you the ability to move up to 10ft away from the cylinder and allows two workers to inflate balloons at the same time. From the Snap-On Bubble Outlet to the 60/40 Helium/Air Outlet, there are multiple snap-on accessories to meet the needs of any store owner or decorator. Accessories sold separately. This Conwin exclusive safety feature automatically activates if the inflator is damaged while under pressure, reducing the flow of helium to a safe level. Have a question about this product, or simply looking for troubleshooting tips?Visit our Service & Support center for more information.